When patients speak with their doctor about the symptoms they’re experiencing, miscommunication often gets in the way of proper treatment. Danielle Ofri, an associate professor at the New York University School of Medicine, shared her wisdom about doctor-patient interaction Thursday night to a room full of medical professionals and students in Fred W. Smith Forum. Ofri, who is also a co-founder and editor-in-chief of the Bellevue Literary Review in New York, was invited to speak at the University of Missouri about how better communication can improve a patient’s health. She is a frequent science and health contributing writer for The New York Times. The event was a part of the annual Helen Goldberg Memorial Lecture in Women’s Health, which is co-sponsored by the Missouri School of Journalism and the MU School of Medicine. 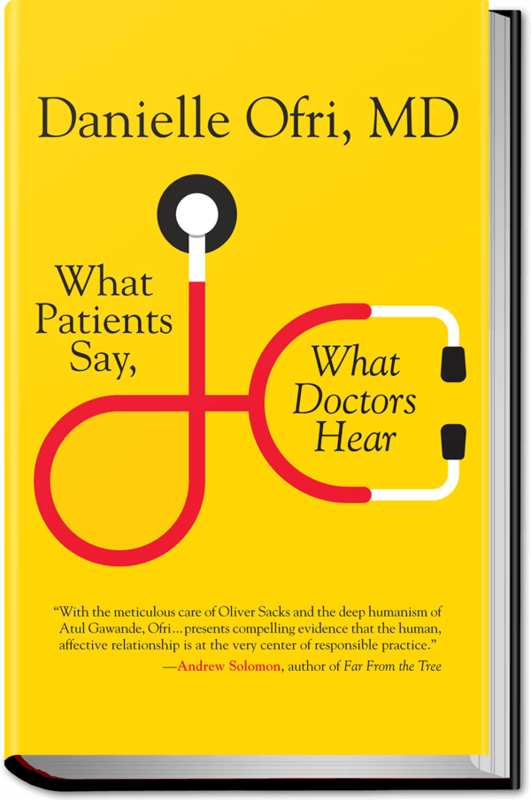 The most common complaint in medicine, Ofri said, is that doctors aren’t really hearing what their patients are saying. She said the vast majority of malpractice lawsuits stem from miscommunication and a general lack of understanding between a doctor and patient. After reading up on the issue, she began experimenting with how she communicated with her own patients. “I’ve often wondered, how long would a patient talk if we didn’t talk at all?” Ofri said. When a patient first starts talking during an appointment, there is an average of 8 to 10 seconds before the doctor interrupts, Ofri said. She challenged herself to let her patients describe their symptoms without interruption, timing how long they spoke each time. She was surprised by the results. Her patients spoke 92 seconds on average but said they felt a lot better afterward. One patient, she said, spoke for over four minutes, giving an extensive list of aches and pains. While she was at first annoyed by the patient’s complaints, hearing the patient’s full list allowed Ofri to have a better understanding of them and how she could treat their symptoms. Many things improve by bettering doctor-patient communication, Ofri said. She gave examples of several cases in her career where patients have improved substantially through communication alone, as a placebo effect. “It’s clear the words we say have a lot of power,” she said. Aaron Sapp, a doctor at the MU Student Health Center, asked how medical students could be trained to help them properly communicate with their patients. Ofri said, despite having less experience, medical students are often better listeners. They take the time to sit and talk with patients, which helps them build stronger connections. MU professor Elizabeth Giuliano, who is also a veterinary ophthalmology specialist, asked Ofri how to properly communicate with patients who can’t speak for themselves. She said she relates most to pediatrics because, similar to animals, communication with children is difficult. “We really have to be our patients’ advocates,” Giuliano said. Ofri said kids, as well as animals, are generally very honest. They’re either in pain or they’re not. It’s often adults who alter or hide information. Improving communication with her patients and allowing them to express what’s truly wrong has not only helped her patients feel better, but has helped her as well, Ofri said. “The extra couple of minutes makes a real difference,” she said.